Time to honor our Pup of the Week, Bear. 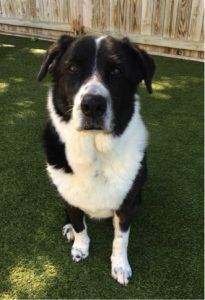 We are sad to report that since choosing Bear for this feature, he has crossed the Rainbow Bridge, and is now playing with other departed Paws Awhile friends, including his brother Pearson, on the other side. He is very much missed by his family, and all his friends at Paws Awhile. Favorite Activities: Exploring and sniffing everything! I really love being outside, especially in the rain!